Epidermal layer and muscle wall of colon? First of all,I wanted to ask that whether epidermis is present in colon ? And if yes than how is muscle wall present with respect to epidermis. 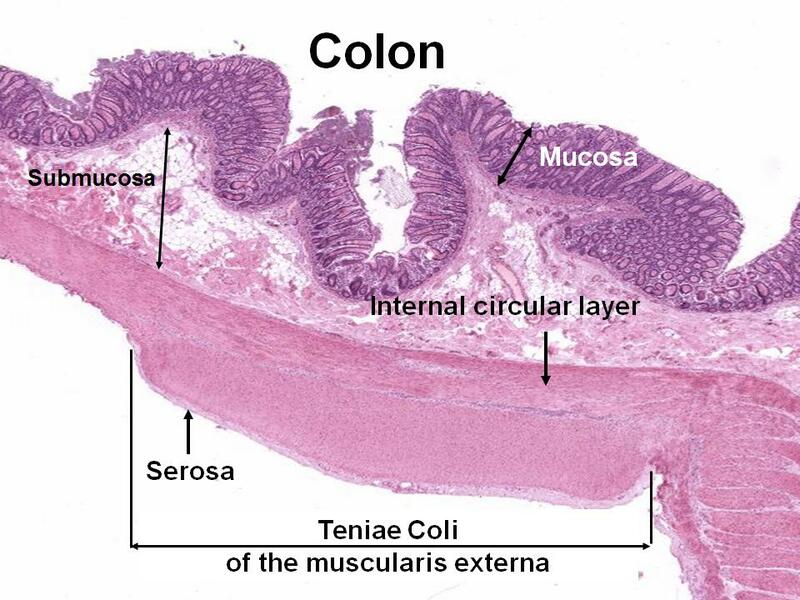 Can anyone give me a pic that has both the epidermis and muscle wall of colon. Good question. The colon is lined by epithelial cells (as are all hollow organs). These particular epithelial cells are different from epidermal cells, which are another particular type of epithelial cells found in skin. 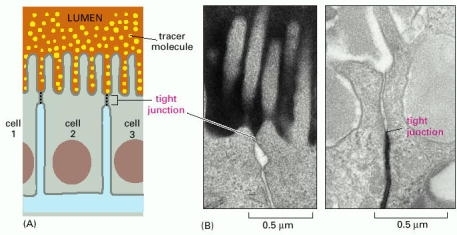 Epithelial cells are distinguished by the way they connect with each other using tight junctions to form a permeability layer between compartments. Not the answer you're looking for? Browse other questions tagged digestive-system or ask your own question. How do baby animals that primarily subsist on cellulose get their initial gut flora? What is an simple way to burn glucose for visible effect? Is lemon water an alkalizing agent in the body? Is there a biological reason for spreading food intake into breakfast-lunch-dinner? What is the biological basis for tiredness after eating? Do adult humans exchange beneficial bacteria? If so, how?